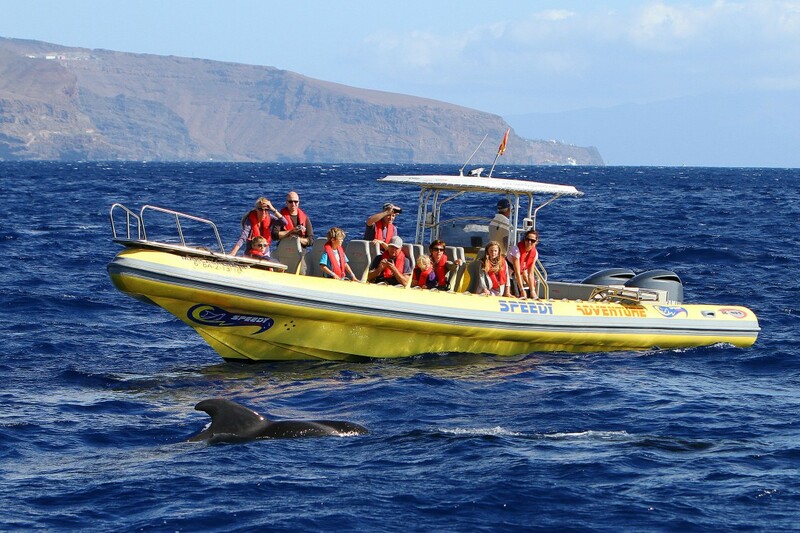 The Canary Islands, especially the area between Tenerife and La Gomera, form part of one of best Whale Watching destinations in the world. Here in the Atlantic Ocean you can experience the sight of lots of whales and dolphins in their natural habitat. Throughout the entire year there is a 90 percent chance of observing a variety of marine mammals. This is mainly because the biodiversity here is extremely rich. There are different types of these mammals which live here on a permanent basis. 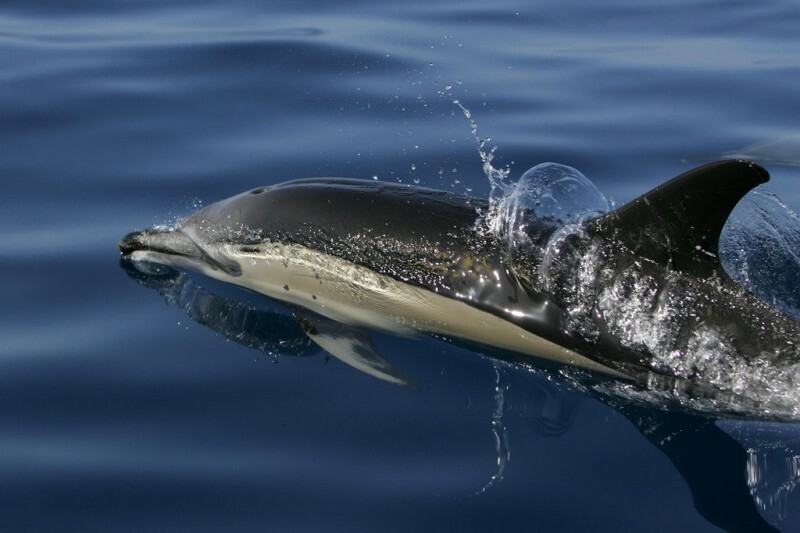 Among them are many dolphin species such as the Bottlenose dolphin, Atlantic spotted dolphins, Rough-toothed dolphins or Common dolphins. 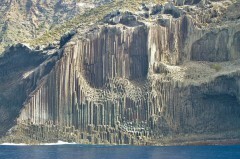 Furthermore there is a uniquely large population of Pilot whales living permanently between the islands. 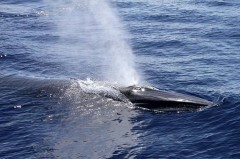 Therefore throughout the whole year we have a good chance of observing these impressive animals whilst on our boat trips. 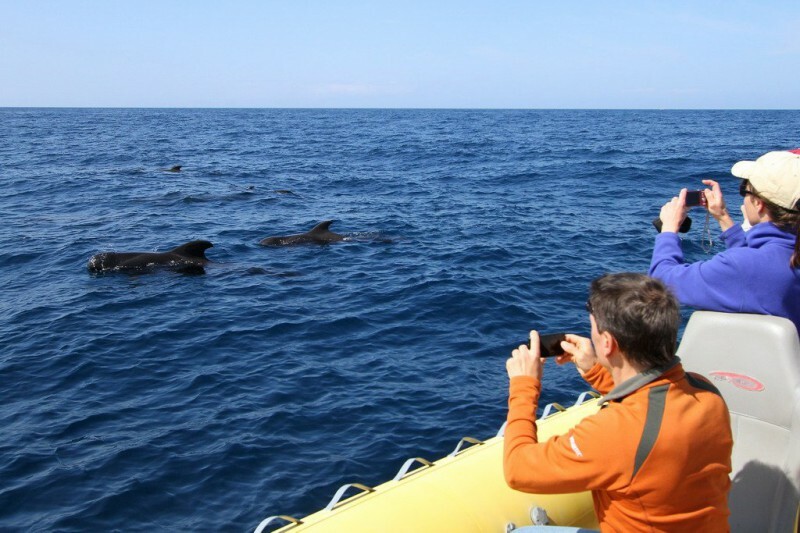 Another important factor for the successful whale and dolphin watching with the Speedy Adventure, is the fact that sustainability has priority. 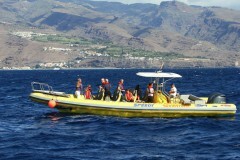 During our whale-watching excursions it is always about not disturbing the marine life. This means that we do not want to intervene in their habitat. This also means that the animals decide. You notice if they are in a good mood or not. If they are not we don’t bother them but leave them alone. It is often the case that the curiosity of marine mammals is so big that they swim up to the boat. Frequently it happens that dolphins swim with us in the bow wave. 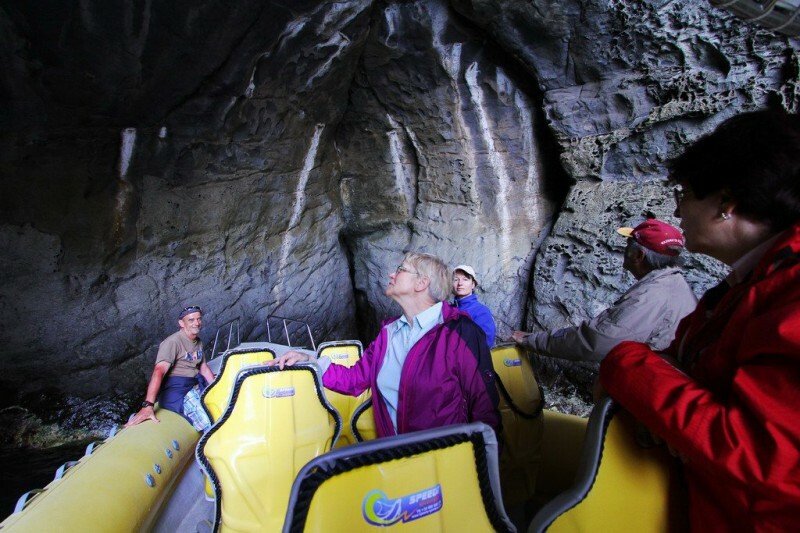 This is a truly awesome experience that amazes our guests on board of the Speedy. But this approach must be based on the whales or dolphins themselves. We not only maintain a respectful, but also legally mandatory distance to the whales and dolphins. 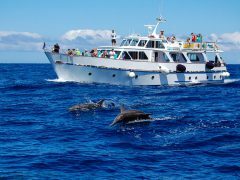 The Speedy Adventure is particularly well for these sustainable whale watching tours because its modern engines are extremely quiet. Although the engines are real powerhouses, their energy-saving consumption is an asset for the environment. 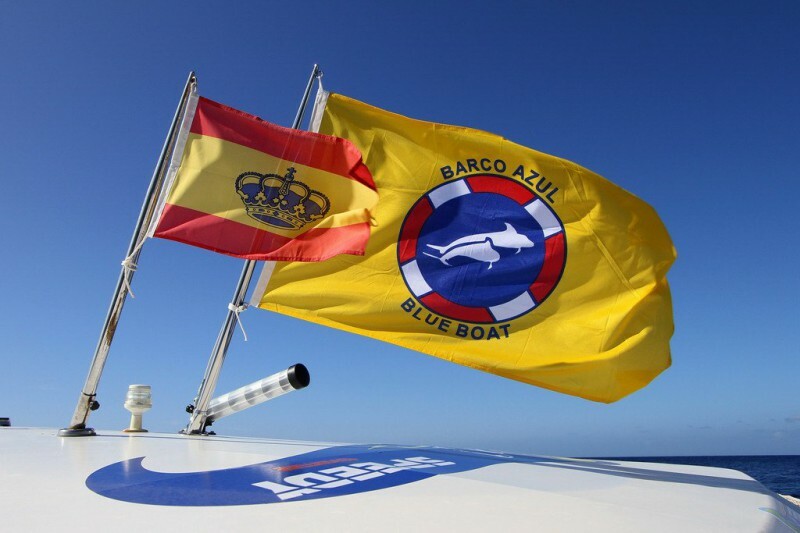 To support the marine sustainability also apart from the sea Speedy Adventure is a member of the European Charter for Sustainable Tourism in Protected Areas. 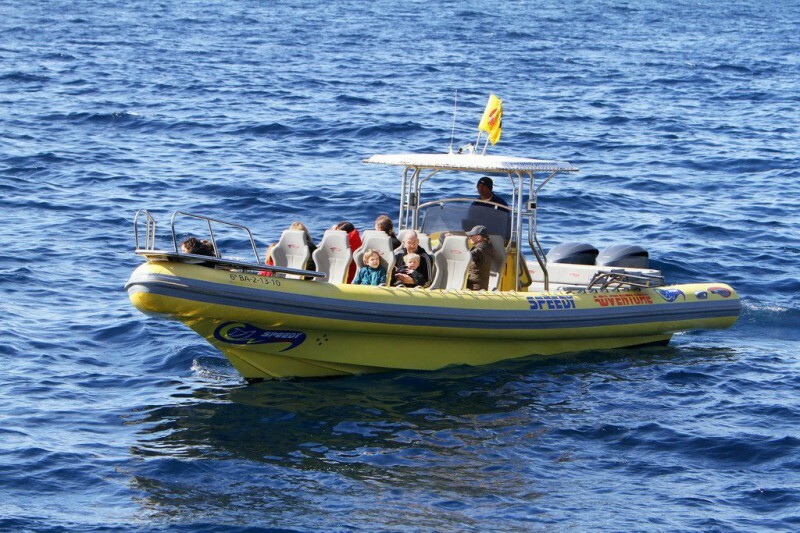 What makes the whale watching tours with the Speedy so special, are the speed of the vessel and its low height. With its two strong engines, each equipped with 350 hp?, the boat can move fast and can also go a little further out to sea than other boats. When the Captain Jose Miguel spots movement in the distance, he can accelerate and get there in a short amount of time. 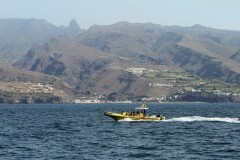 Although the tours are not high speed trips, the strong engines provide a lot of stability on the Atlantic. On board the Speedy it is very common that even people who tend to get seasick enjoy a great trip without suffering nausea. 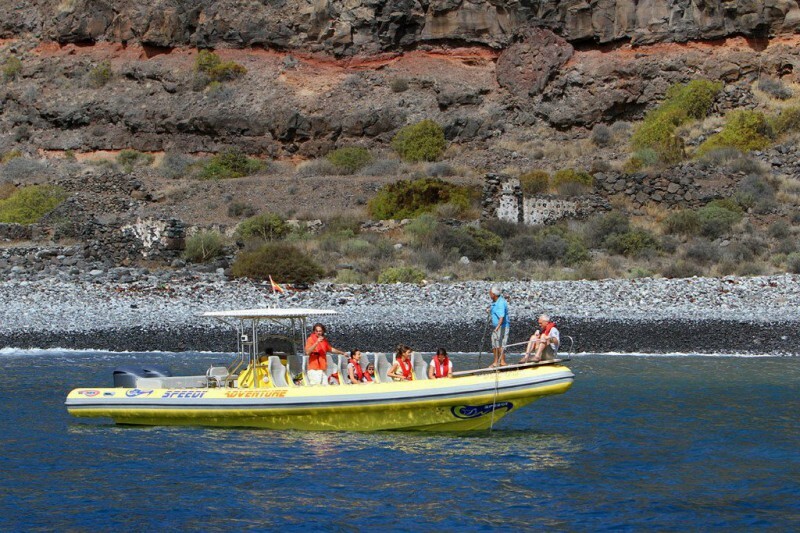 Since the 12-meter long boat is not very high, you will find yourself on board always close to the water. This in turn means you are also very close to the animals as they approach the boat. 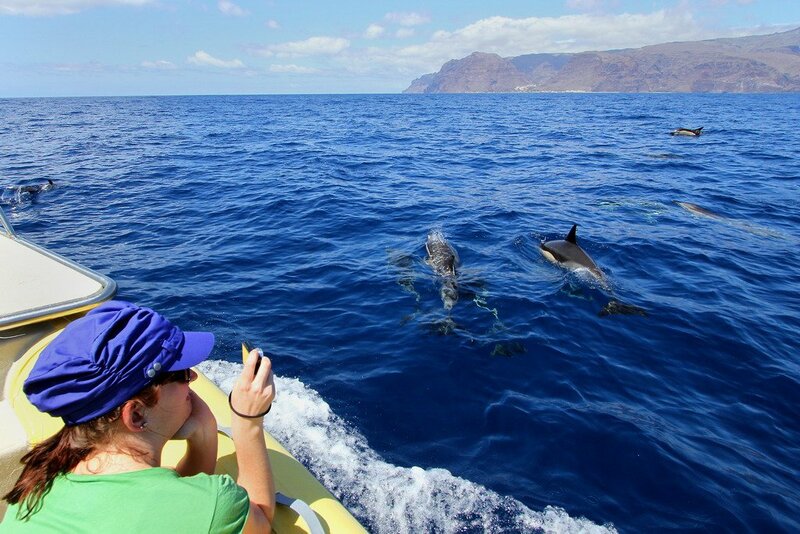 It is due to this proximity that such a close encounter with the whales and dolphins is an especially intense experience. The captain not only has many years of experience in navigation, but is also a trained guide of cetaceans. It is from him where our guests on board will be able to gather all sorts of information. The main species that can be found off the coast of La Gomera are dolphins. Throughout the year you can experience sightings of small or huge schools of various dolphin species. 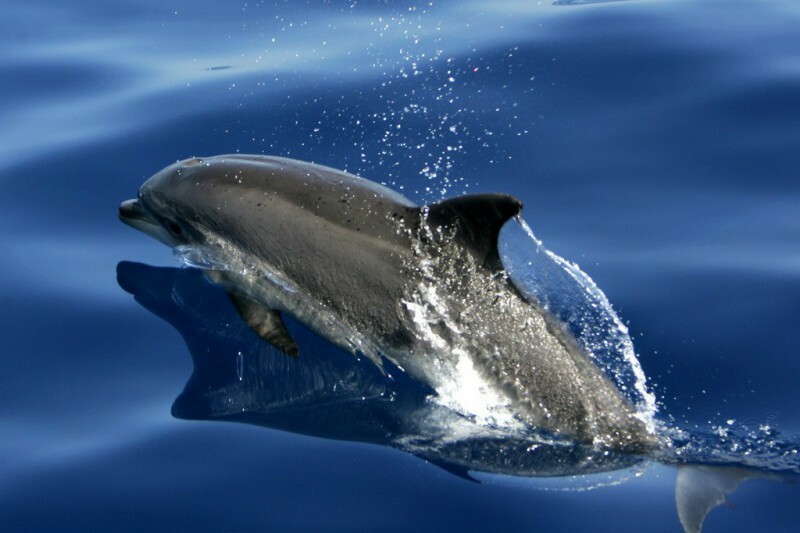 Among the most common sightings are the Bottlenose dolphins, Atlantic spotted dolphins and common dolphins. 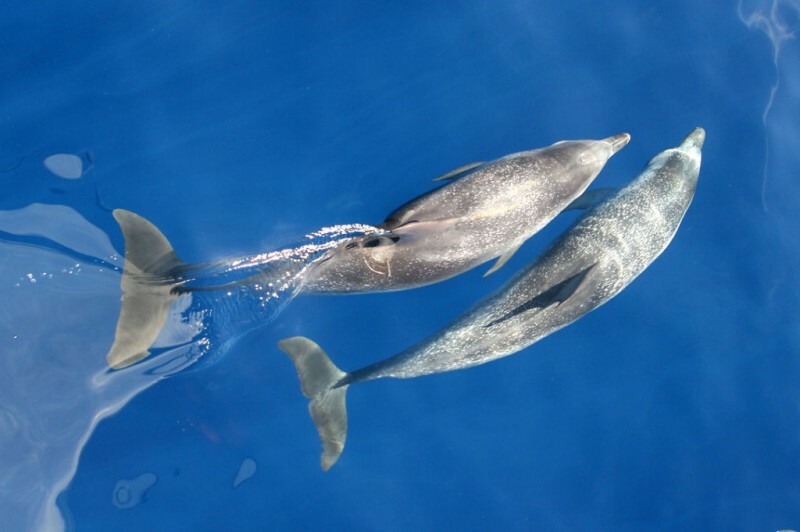 There are many more such as the Rough-toothed dolphins and Striped dolphins, however these species are known to be shy and therefore show themselves rarely. 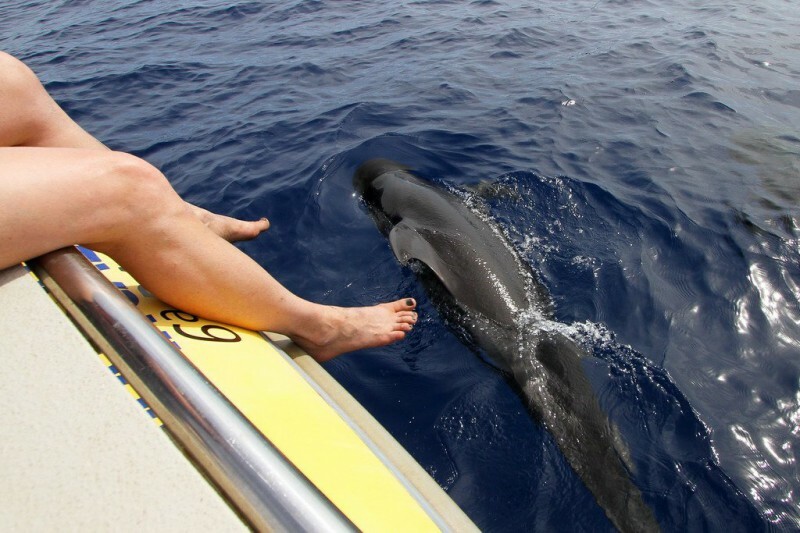 The fact that the Pilot whale population resides between the islands of Tenerife and La Gomera throughout the year means that it is not surprising for them to be one of our most common sightings. These marine mammals have a gentle and calm character. During the daytime they usually relax on the surface making it easy to find them during our tours. 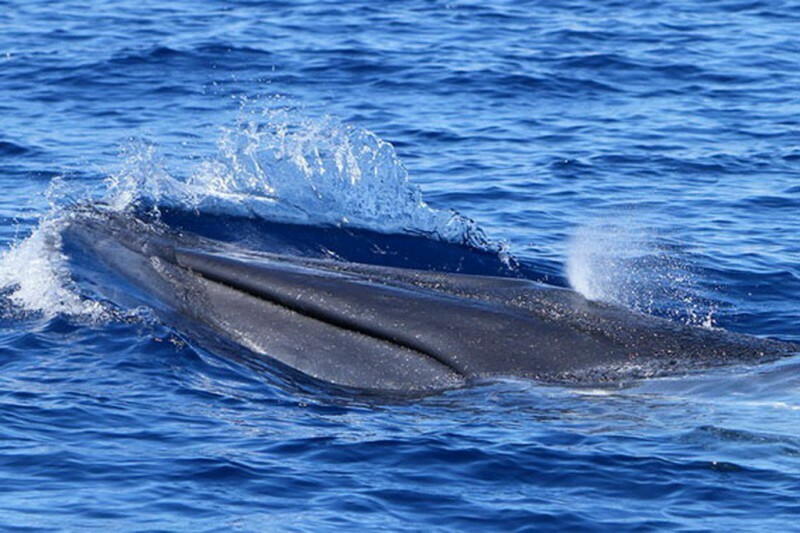 During the warmer months, from April to October, it is also possible to see bigger whales passing through the Canary Islands, such as the Bryde’s whales. 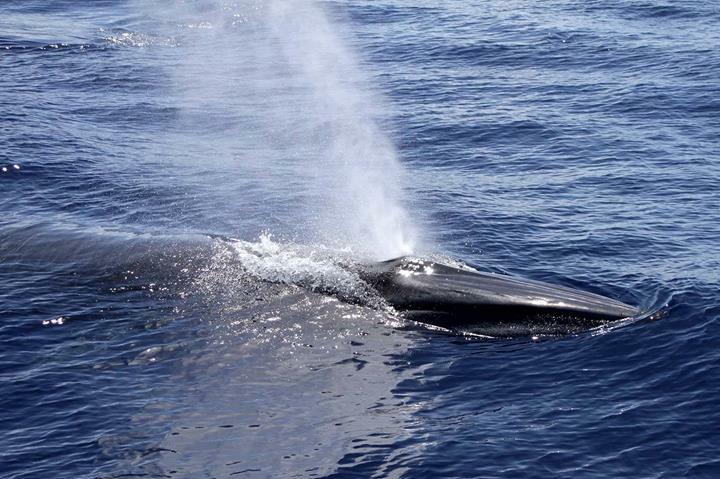 Another gentle giant who shows up every now and then in front of our boat is the Sperm whale. But since this species can dive for an extremely long amount of time sightings are rare, although we do encounter solitary animals or even groups from time to time. 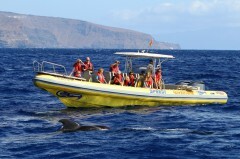 Altogether more than 20 different whales and dolphins have been sighted off the coast of La Gomera over the past years. 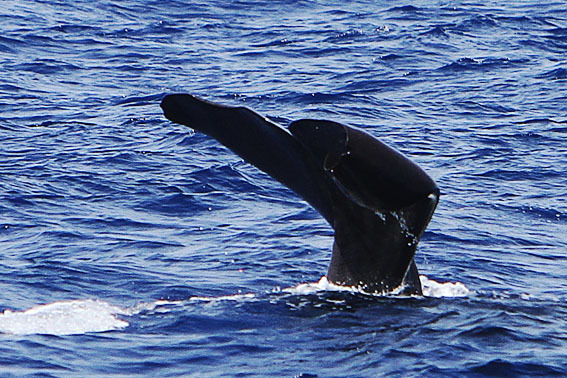 This makes this area the ideal destination for whale watching enthusiasts.